Welcome To My Short Trip Report! I decided to do this trip report to pay a tribute to the recently retired aircraft type of Malaysia Airlines, the Boeing 777-200ER (Extended Range). This trip happened in the early 2000s and no photos were taken back then. 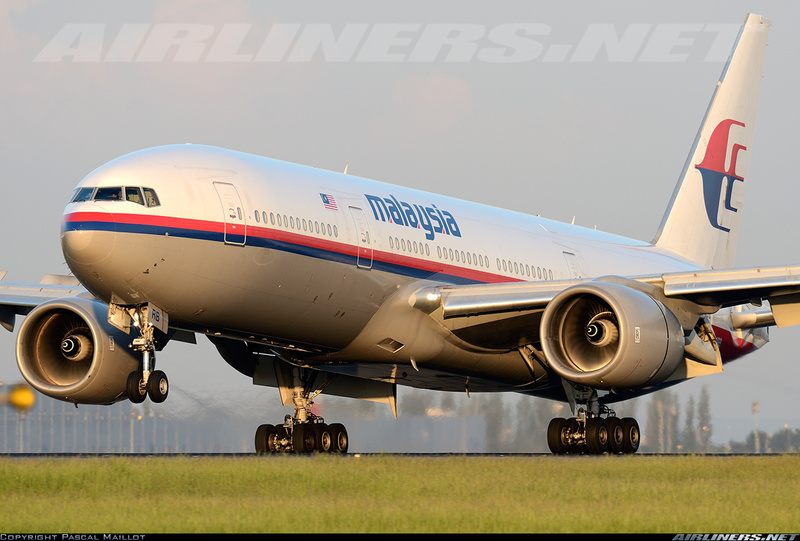 The photos below are taken from the Airliners.net and as usual, they are credited to the respective photographers. 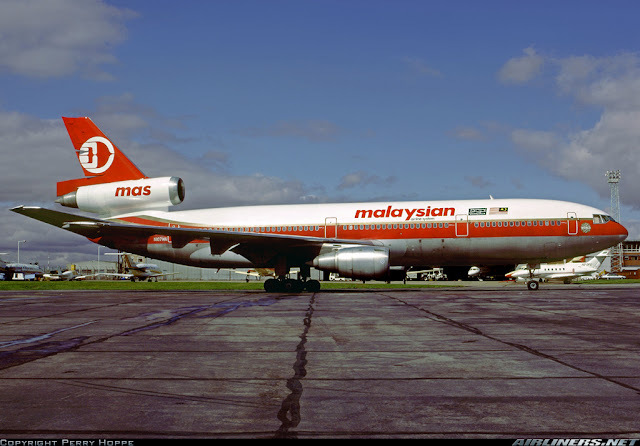 This airline is formerly known as Malaysia Airline System, set up in 1972 after Malaysia-Singapore Airlines (MAS) was ceased. 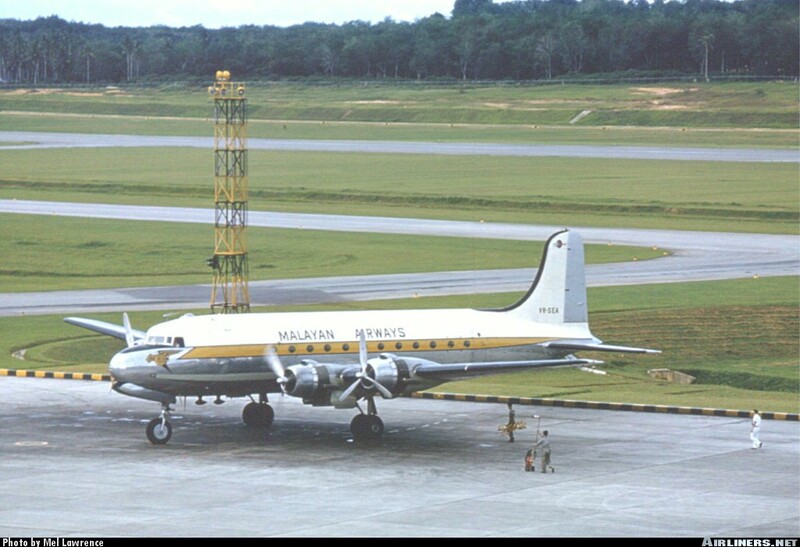 The history actually goes back to 1947 when this airline back then was known as Malayan Airways. After Malaysia gained independence, the airline was renamed to Malaysia Airways. 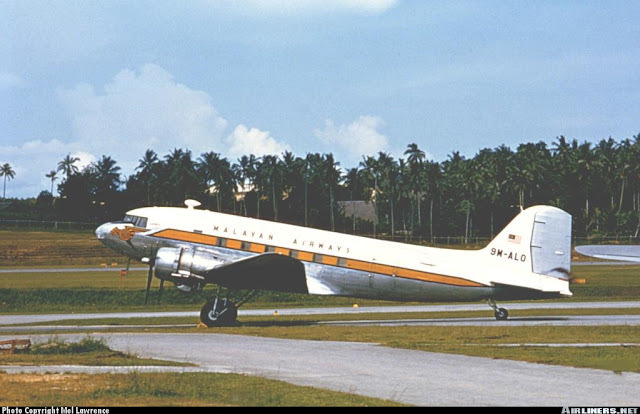 Malaysia-Singapore Airlines (MAS) name was used when both Singapore and Malaysia became a country for a short period before it got disbanded. 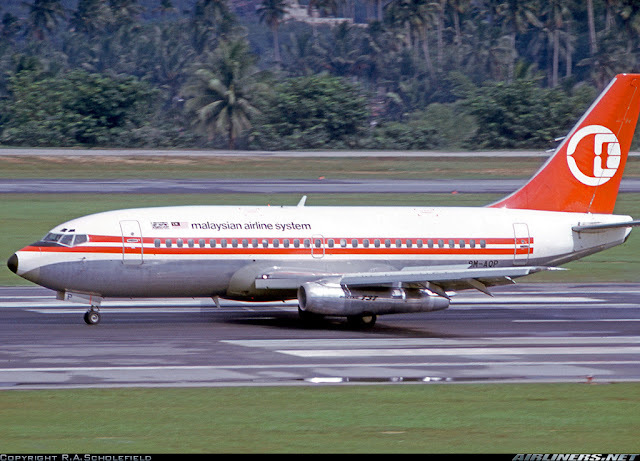 Malaysia Air System was used after that before Malaysia Airlines (current name) took over the name of the airline. 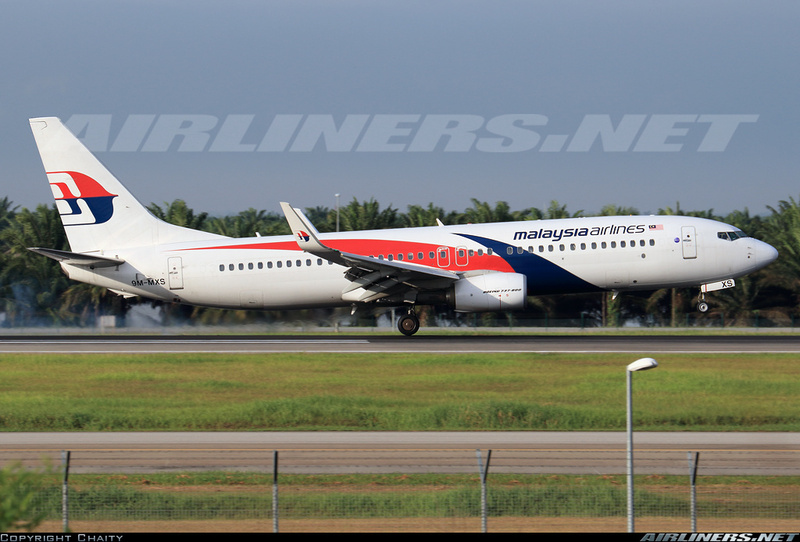 This is the current national airline of Malaysia, based in Kuala Lumper, it owns 2 subsidiaries - Firefly and MASwings. 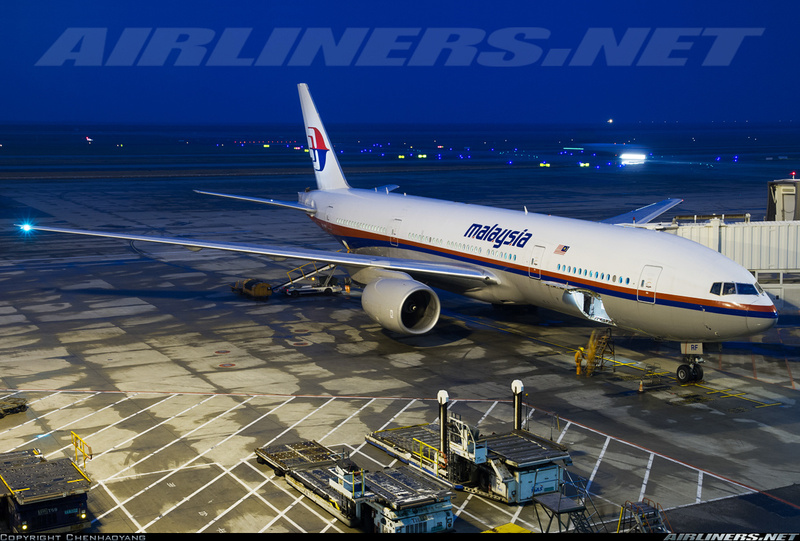 The airline joined the OneWorld Alliance and currently is cutting on routes especially long haul ones to try to stabilize the company and more importantly bring back the profits to this once competitor rival of Singapore Airlines. In 2014, the airline under the management of Christoph Mueller has taken necessary steps after the 2 unfortunate plane crashes (MH370 and MH17) to get this airline back on the right track. 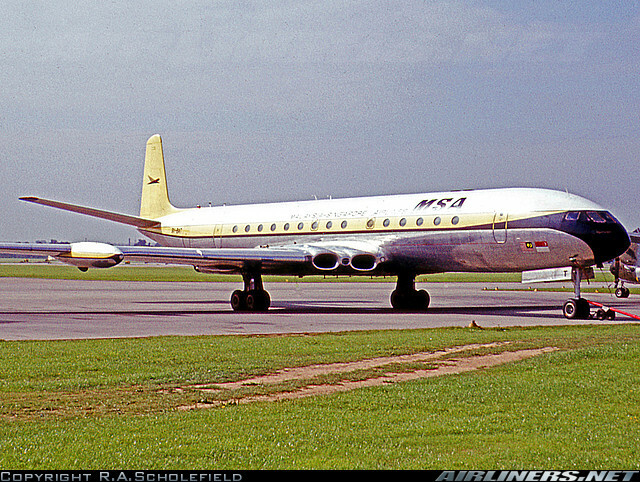 Most European routes were cut, with London Heathrow the only one remaining (twice daily). As a result, this Oneworld carrier has partnered with Emirates and the Middle East carrier would help by flying its passengers to other parts of Europe via its home base (Dubai). 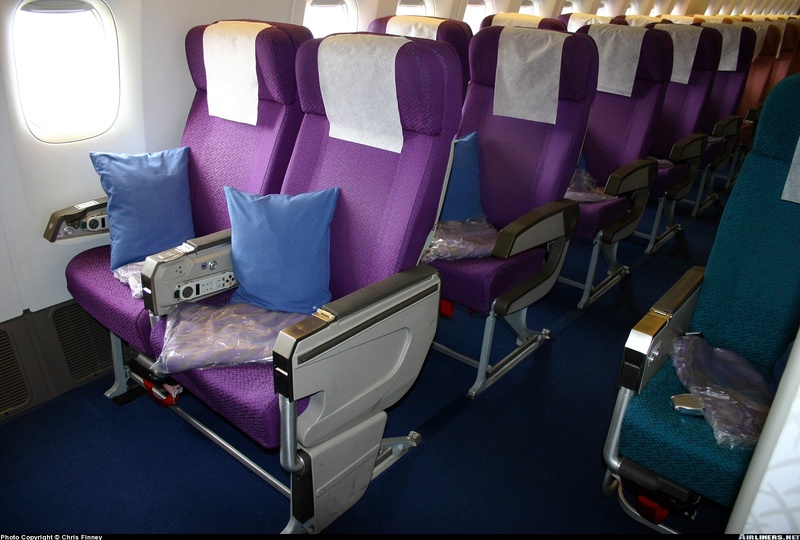 For Emirates, it would get access to Malaysia's domestic airports. 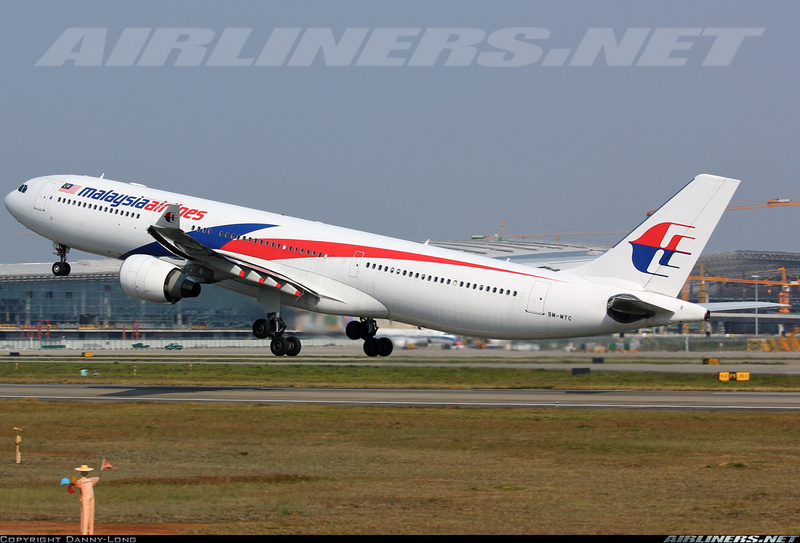 The airline for now will operate Boeing 737, Airbus A330-300 and Airbus A380-800. 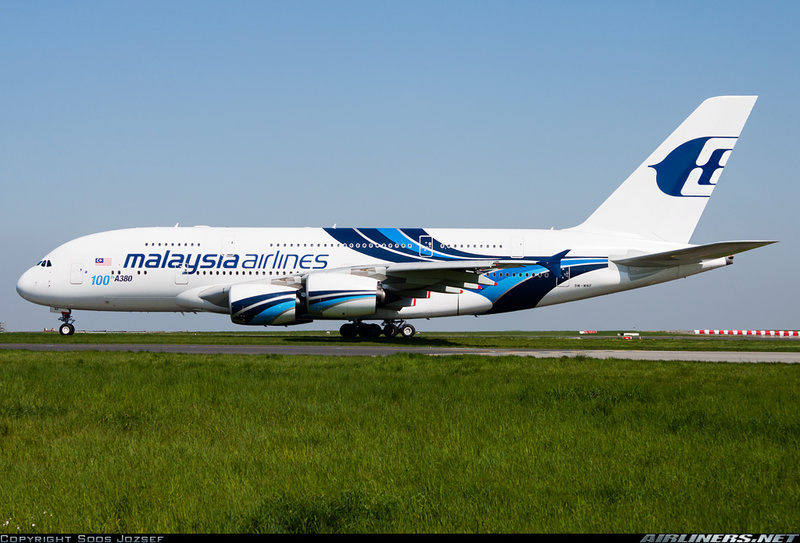 It has plans to replace the A380 with the A350-900 aircraft. 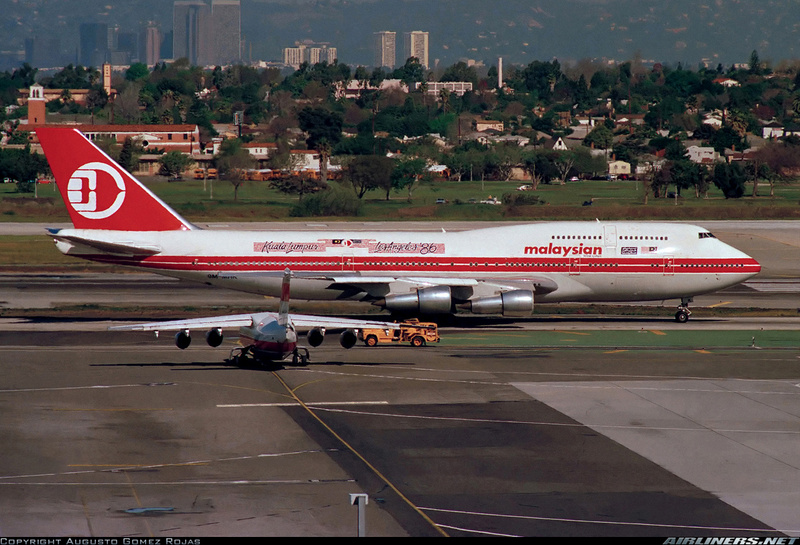 Differences in size but its needed as the airline has difficulty fill up the whalejets. 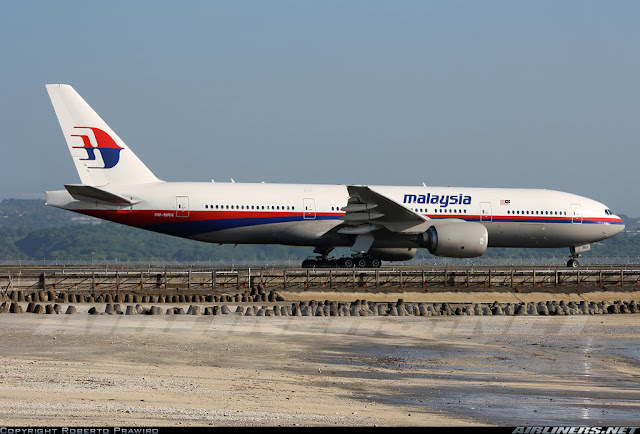 The Boeing 777 has been sacrificed and currently is no longer flying with the airline. Lots of regional routes have been downsized to the Boeing 737 and for more popular destinations, the Airbus A330-300 would operate on these routes. 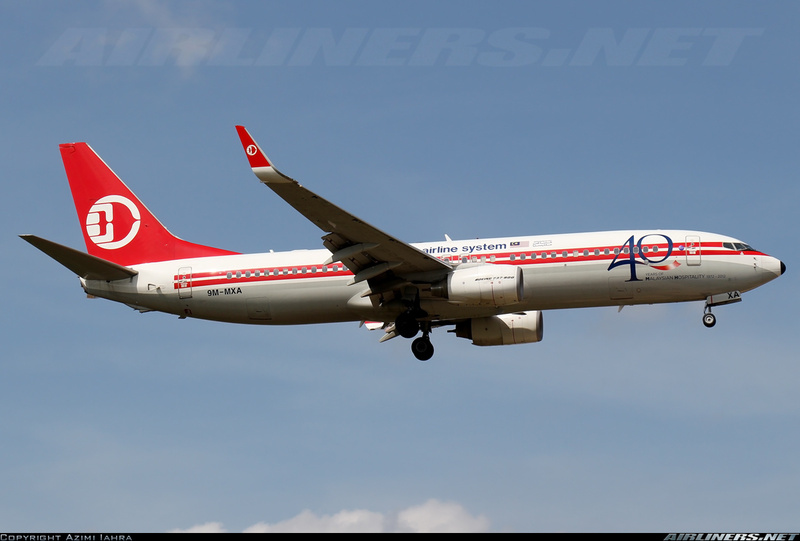 Today, one of the airline's Boeing 737-800 is painted in this retro livery. 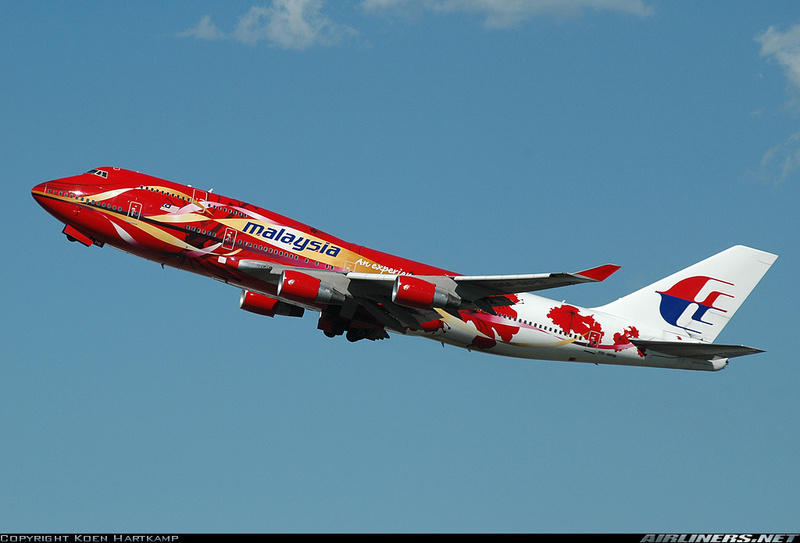 These liveries are sorely missed by many aviation enthusiasts. 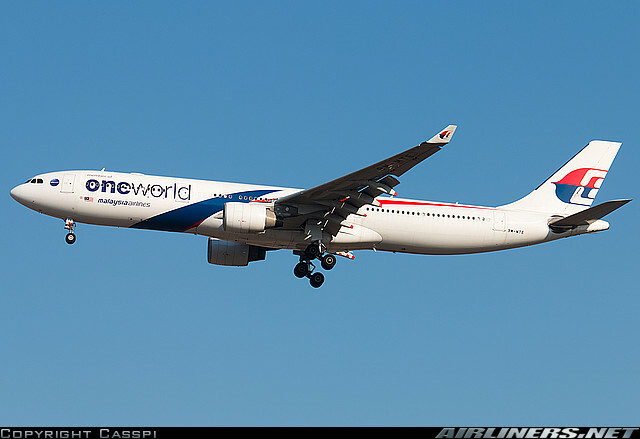 One of the Airbus A330s has the 'OneWorld alliance' decal on it. 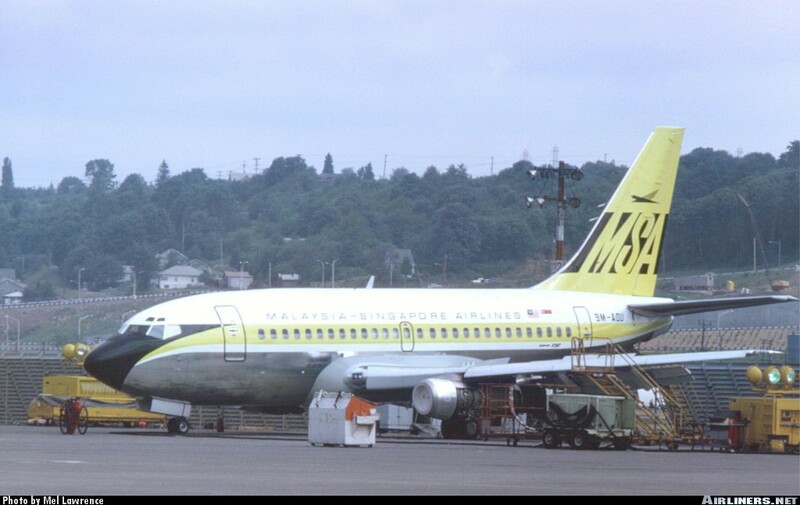 This is 9M-MTE. 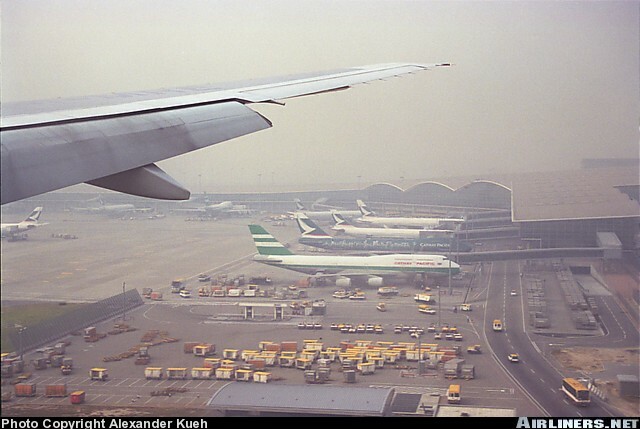 I was based in Shanghai at that time and did a few trips from Singapore to Shanghai. 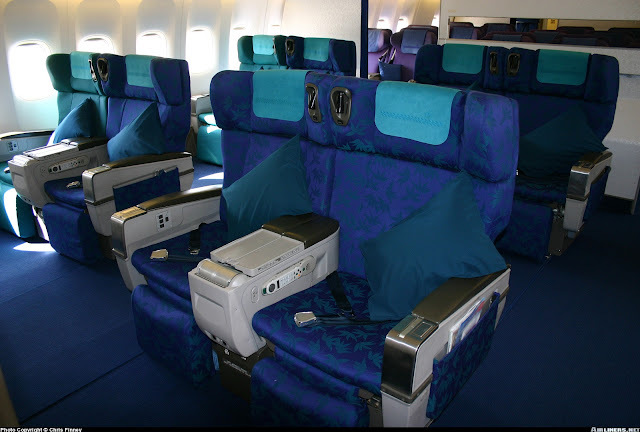 This trip was paid by the company and the good thing is I get to choose my route as long as the air fare is reasonable and air travel must be in Economy Class. No complaints about that! 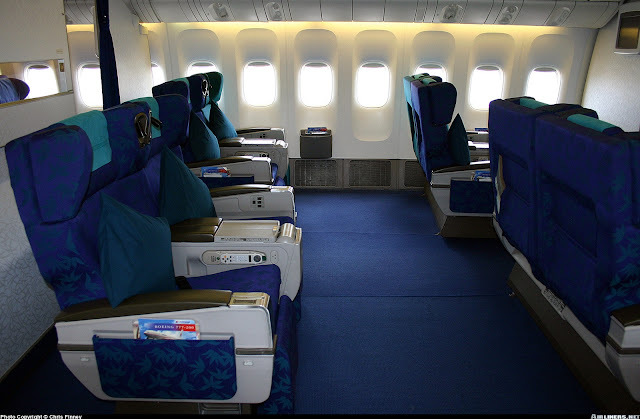 Flying with Singapore Airlines was not an option as the the airfare was often expensive so I took a good look at the number of choices. Malaysia Airlines was one of my choices since since it was operating the Boeing 777-200ER on this route, I picked it. At that time, Low Cost Carriers didn't exist so Malaysia Airlines operated wide-bodies (mostly Airbus A330-300) on its KUL-SIN route and to fly wide-bodies from PVG-SIN via KUL and return was the deciding factor. 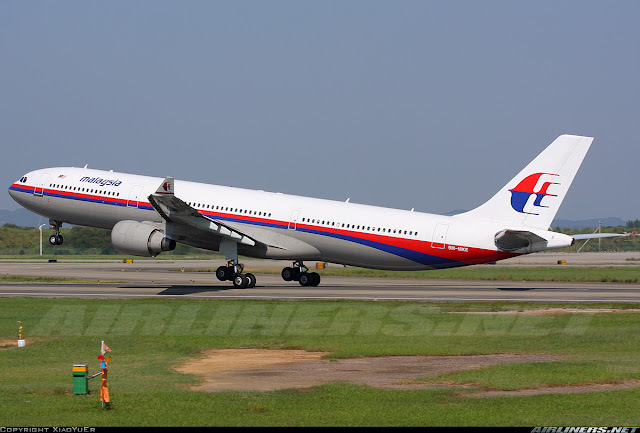 As for the KUL-SIN-KUL sector, 9M-MKE the airline's retired A330 was my ride. 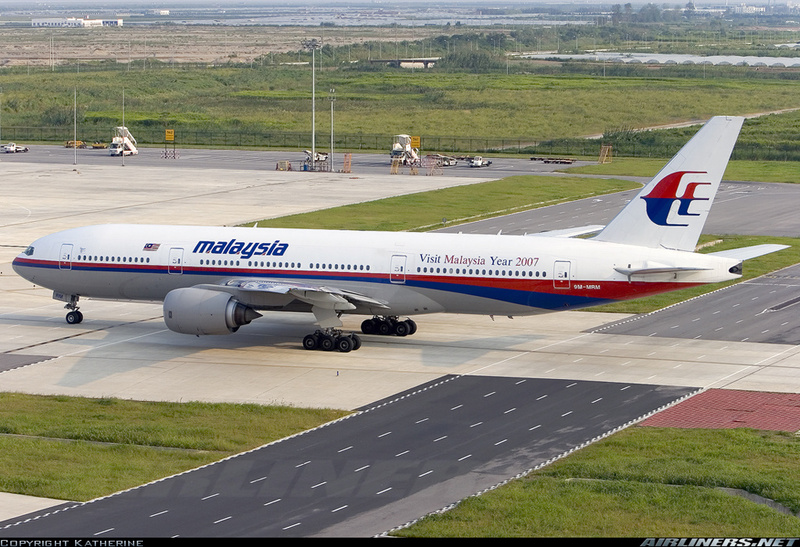 After the short flight to KUL airport, I had about 2 hours to kill before my connecting flight to Shanghai. My ride was scheduled to be the Boeing 777-200ER and it was indeed the aircraft when I saw the aircraft at the gate. 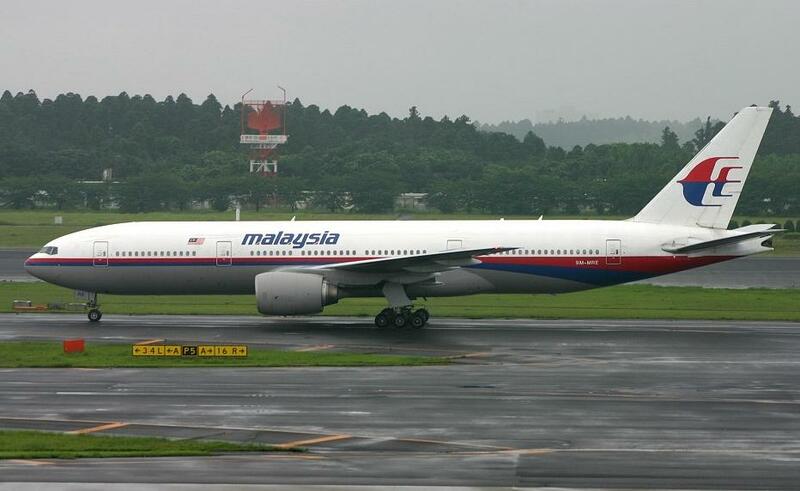 9M-MRB was to be my ride to Shanghai. 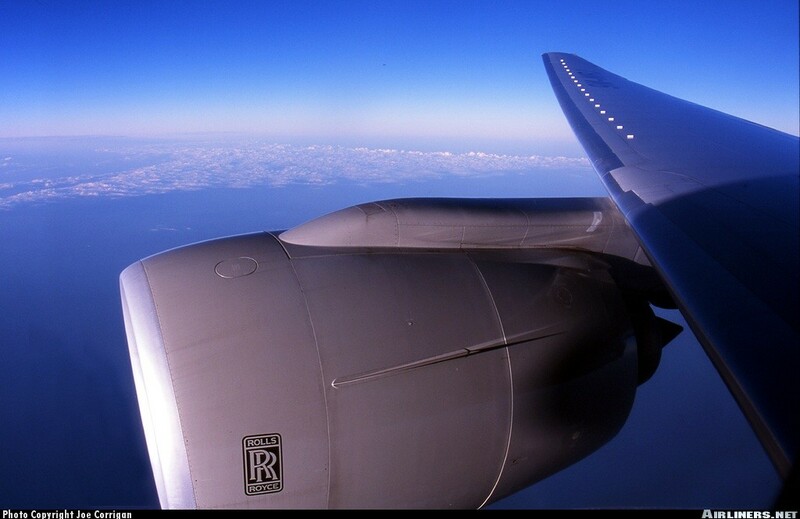 I was looking forward to this ride as it was to be my first Roll Royce powered 777 ride at that time and 2nd time flying on a 2-5-2 configured Boeing 777. 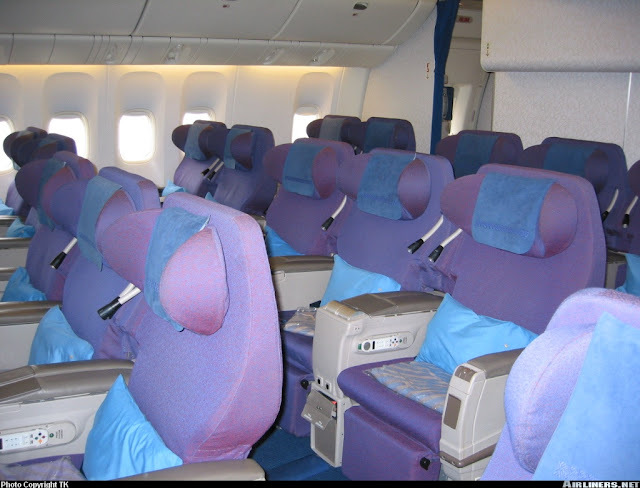 My first time was with Air China on the airline's domestic flight from Shanghai Hongqiao to Beijing. I remember getting myself a window seat, and I was one of the lucky ones to have the seat beside mine vacant so more space for myself. 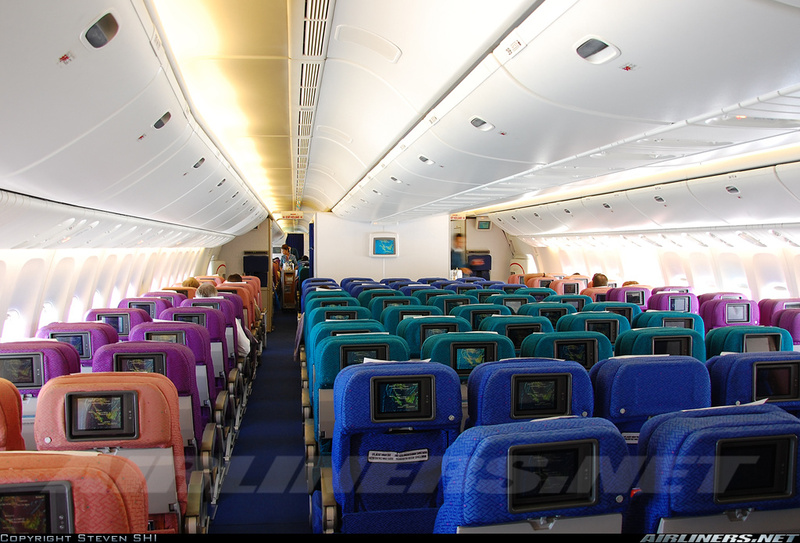 Here are some photos of the cabin, thanks to the respective photographers. 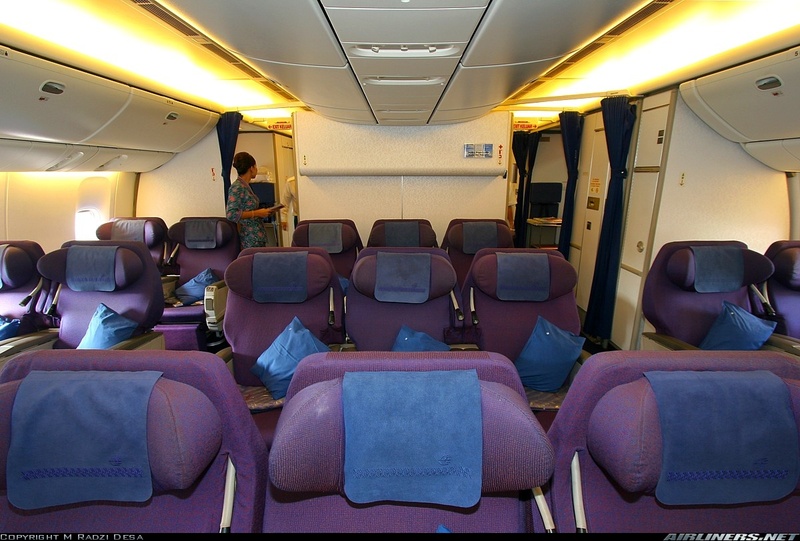 The inflight service was superb, being treated well by the great set of crew. 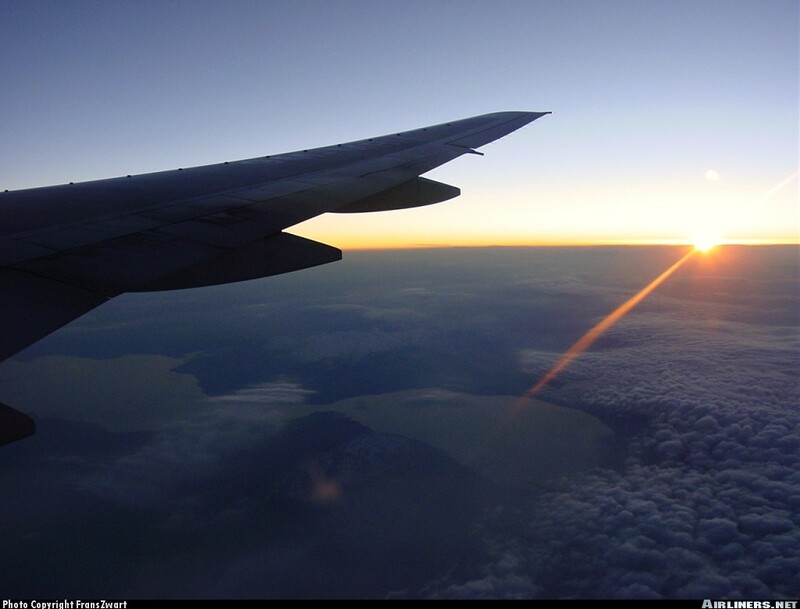 The flight of 4 hours plus seemed to pass very quickly! 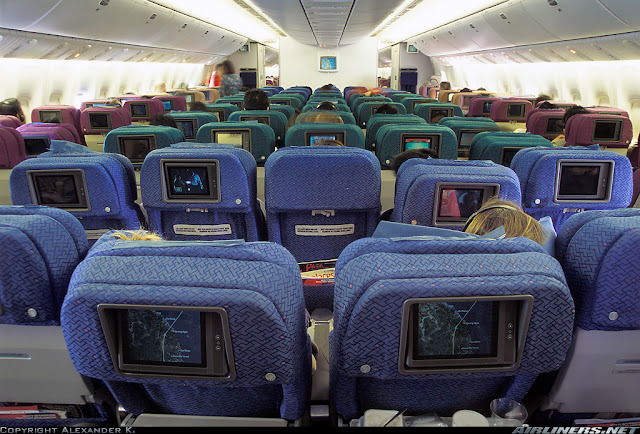 At that time, the IFE system (In-Flight Entertainment) was a huge thing so many of us on board enjoyed it, of course this system can't be compared to today's ones. This non-AVOD (Audio Video On Demand) system back then was a start of greater things to come for air travel especially on long haul flights. 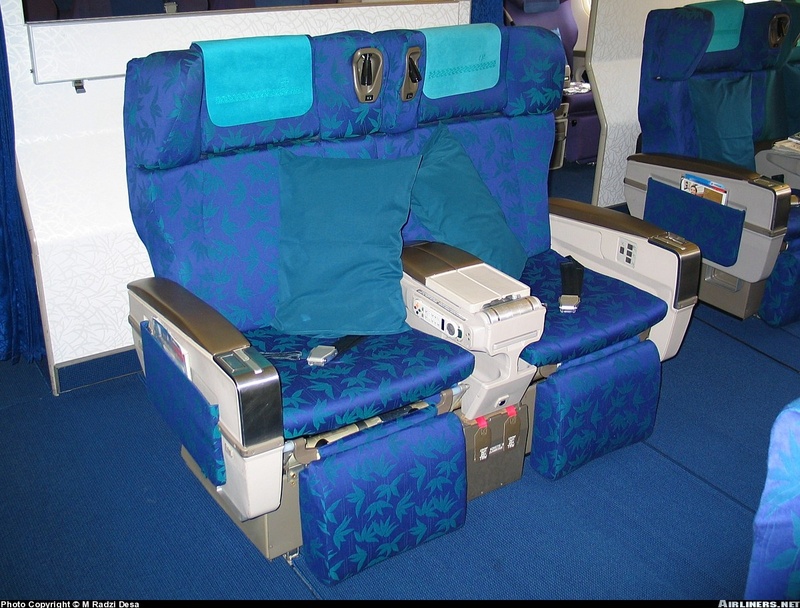 My return flight experience was similar and the in-flight meal (no photos unfortunately) was better during that time. 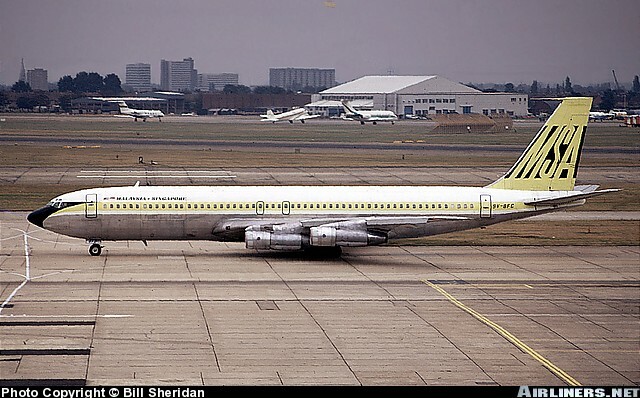 The unfortunate series of events brought down the airline's reputation, causing it to lose tons of money. 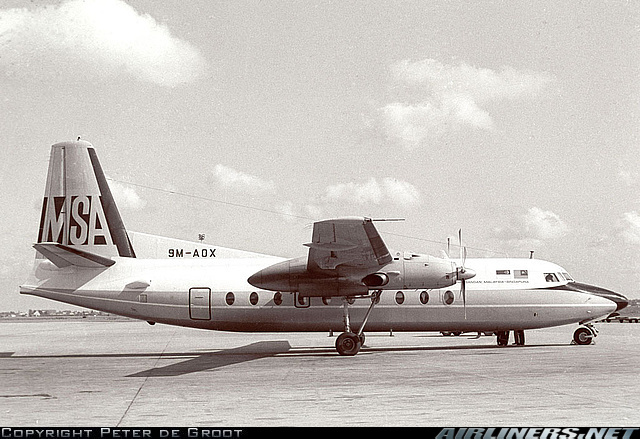 Before the existence of airlines' alliance, the airline was doing quite well, flying to lots of places in Europe and Australia and it even flew to South America for a while. Unfortunately that changed during the mid 2000s when the decline of the company began and measures of route cutting and aircraft equipment changes had to be made to ensure the airline didn't drag itself into financial trouble. To make things worse, MH370 aircraft disappearance (9M-MRO) and MH17 (9M-MRD) aircraft crash (hit by missle) had caused the airline more problems, forcing it to make some changes, most significant one is the CEO. Changes had been made to try to stop the downslide towards bankruptcy. 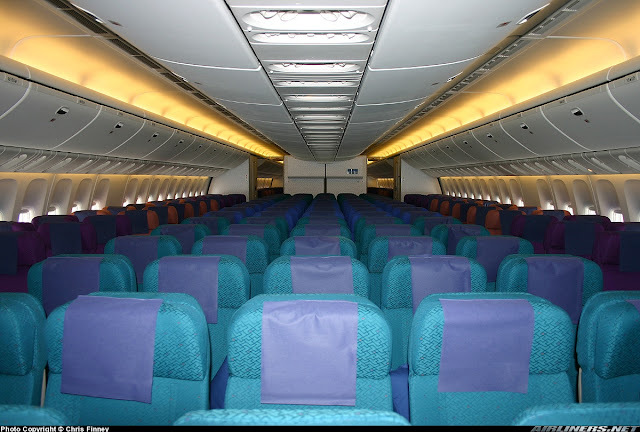 Only time will tell the future of this airline. 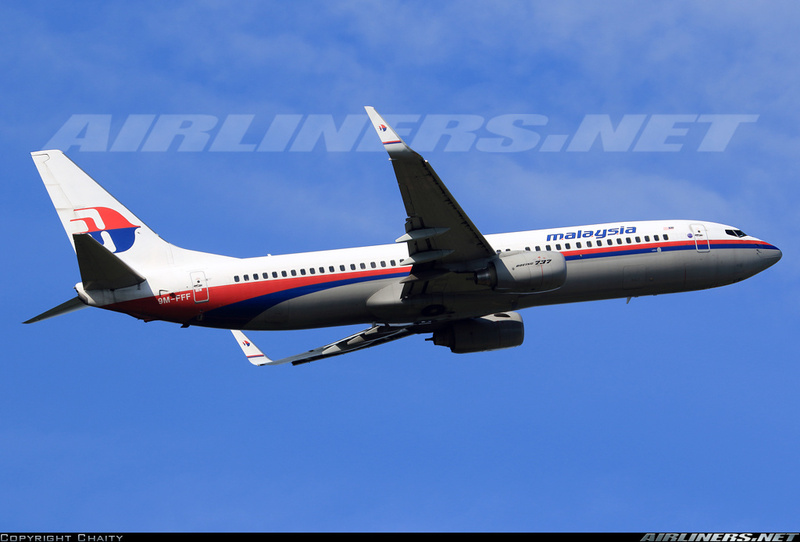 Its sad to see the airline in this state but at least they are doing something about it. 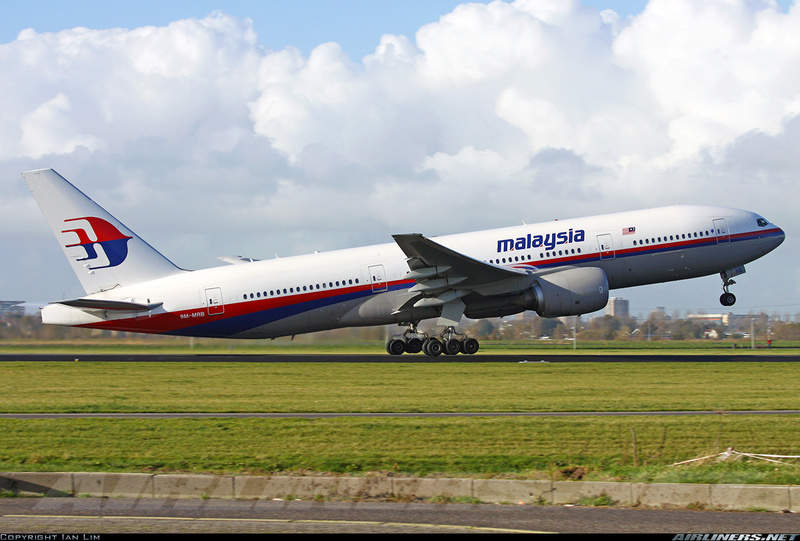 The retirement of the Boeing 777 from the airline doesn't come to a surprise for some of us since it's intention was to cut down on a lot of international routes, rely on its partners for long haul and focusing on the regional and domestic routes. The poor load factor of the international routes especially on the 777 play a big part to the decision. Continue to operate these routes on half filled aircraft or full load with discounted airfare won't make sense. Will this airline make a come back to Europe or U.S.A? Not in the near future I am afraid. With the airline ordering a few A350-900s, I can still see it continuing flights to London and perhaps a couple more European destinations and that's about it. If you are thinking about flying with this airline, go ahead. There is nothing to worry about. The accidents which happened so far are just down to pure bad luck. 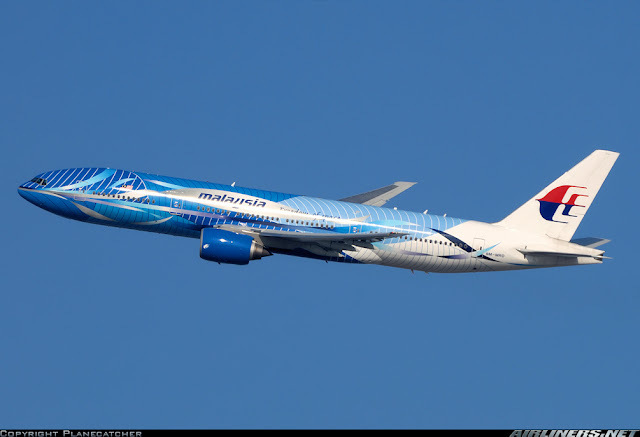 9M-MRD - Once painted in the "Freedom of Space" special livery, but sadly, this was the very same aircraft that was shot down over Ukraine as Malaysia Airlines flight MH 017 bound for Kuala Lumpur from Amsterdam on 17 July 2014. 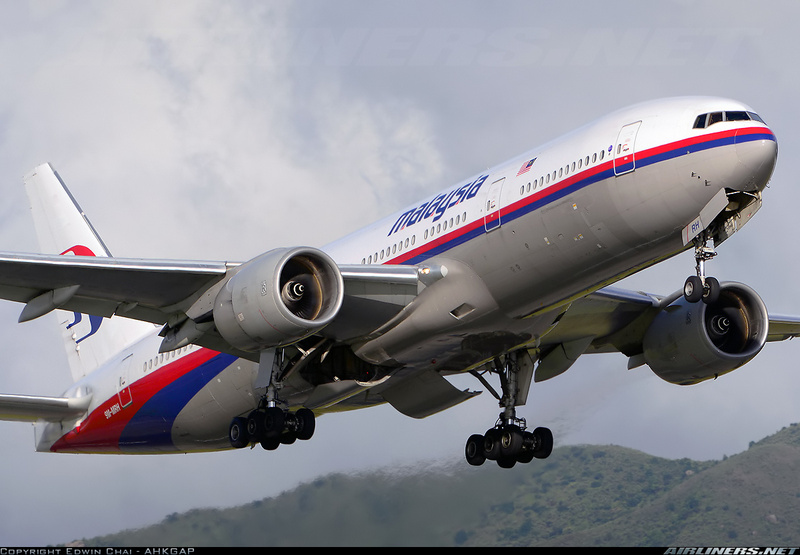 For 9M-MRO (MH 370), apart from a few pieces of debris, efforts to find the missing aircraft have so far been fruitless.